This is where the church has fallen weak and allowed satan to still the truth and the power God intended for us. Unfortunately there are many who teach that these gifts of the spirit were only for the deciples and that we lost those abilities with the early church, but in 1stCorinthians 12:4-11 Paul was addressing the church. He was plainly saying that these are the gifts of God given to us to empower us for victory in our lives over satan and the enemy and for the work God calls us to do. Jesus himself said in John 4:12 that we would do even greater things than he did. The Bible teaches us the Jesus Christ is the same yesterday, today, and forever (Hebrews 13:8). At the very least if God had changed this order of things he would have told us and yet there are no scriptures indicating these gifts were only the disciples and the early church. What has happened is that over time the church has bought into the lie satan propagated that these gifts are no longer available, thus robbing us of much of our effectiveness. Demon possession was common in the New Testament. Are we to believe that satan just stopped possessing people after the early church ended? If not, then why should we believe God removed the power given to us by the gifts of the Holy Spirit, but yet the Holy Spirit himself still remains in us? Why would God remove the very power he gave us to use in the war against satan? In my opinion this is not logical. Since the beginning of the Church Age, the world has become more and more corrupt and filled with evil and will continue to do so as we head toward the rapture of the church and the return of Christ. As more people turn away from Christ and evil continues to increase, Satan will gain more power. 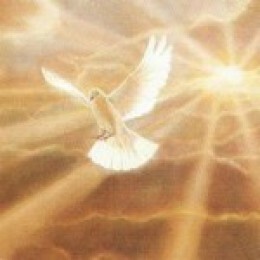 If we ever needed the power of the Holy Spirit in our lives it is now! How can we tap into this power of the Holy Spirit? Stop buying into the lie that it is not available, ask God to bless you with a special anointing of the Holy Spirit, and ask God to reveal your spiritual gifts to you and to empower you in there use! Spend time in prayer and in studying God’s word daily! Most of all be prepared to step out of your comfort zone and allow God to do what he wants to do in and through you. He may give you words of knowledge for others, you may be anointed by the Holy Spirit to speak in tongues, you may be asked to pray healing over someone you don’t know, you may be lead to witness to your neighbors whom you normally try to avoid, etc. The point is God stretches your faith in order for you to grow spiritually! When you are walking in the Spirit each day and yielding to the power of the Holy Spirit you will have to step out of your comfort zone in obedience, but when you do you will be amazed at the blessings and power God will bestow upon you when he sees your desire and your obedience! You will experience God in a more close an intimate way through the Holy Spirit than you ever imagined! Think of the Apostle Paul! Many times he didn’t know where he was supposed to go, but just where he wasn’t supposed to go. He continued to walk and allow the Holy Spirit to guide him and he always ended up just where he was supposed to be! If we allow God to speak into our lives each day and night and listen to the nudge of the Holy Spirit (you know those times when you feel God is calling you to do or say something that makes you uncomfortable) and be obedient we will begin to see change in our lives, churches, and communities! We are not here to go to a church building for a Sunday service and then retreat back into our comfortable lives! We are here to reach out to a lost and dieing world and to do the work God has called us to! It’s time for the church to wake up and be the body of Christ! God has given us all we need to accomplish this work through the Holy Spirit! If your reading this and you don’t have a personal relationship with Jesus Christ, then I encourage you to ask him into your life today! There is nothing you have to do to prepare yourself for salvation. All you have to do is ask! Nobody is guaranteed a tomorrow! Let today be the day of your salvation!